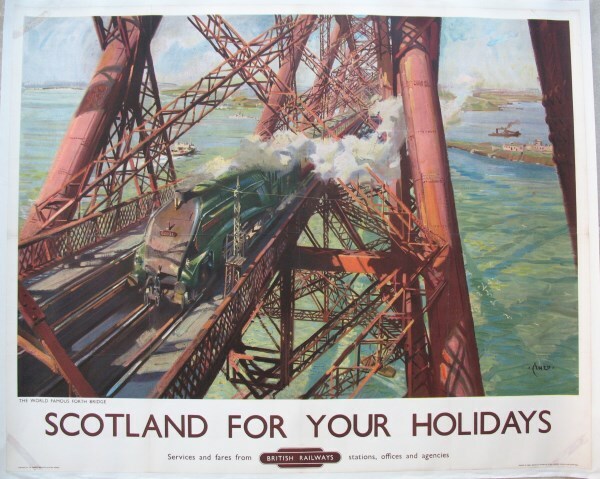 Lot 49 Q/R Poster 1952 BR (ScR) Scotland For Your Holidays", by Terence Cuneo. A masterpiece painting of A4 Pacific 60031"Golden Plover" on the Forth Bridge. Professionally backed on linen, repaired tears and restoration to old sellotape stains.